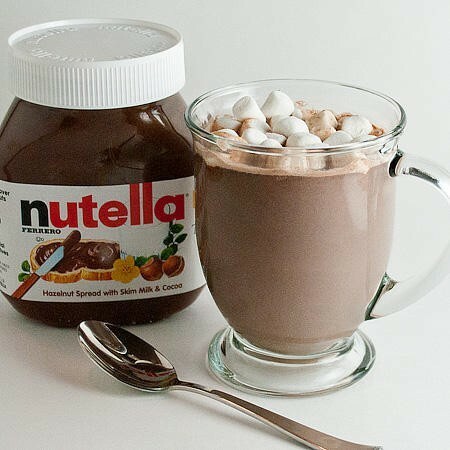 Hot Nutella Schokolade. . Wallpaper and background images in the Nutella club tagged: nutella picture chocolat creamy hazelnut image hot chocolate marshmallows. This Nutella photo might contain cupcake, süßen pickle, süße gurke, kaffeepause, and teepause.